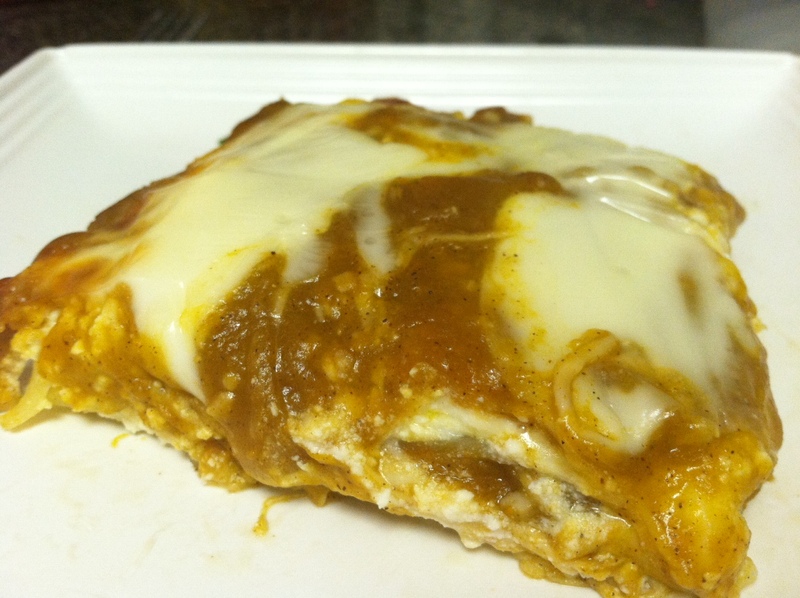 Ugh, I promise I am going to give you guys some recipes that don’t include Pumpkin…..next July. Just kidding, next week… But for now, another pumpkin recipe. It’s really good if that makes up for my pumpkineyness. 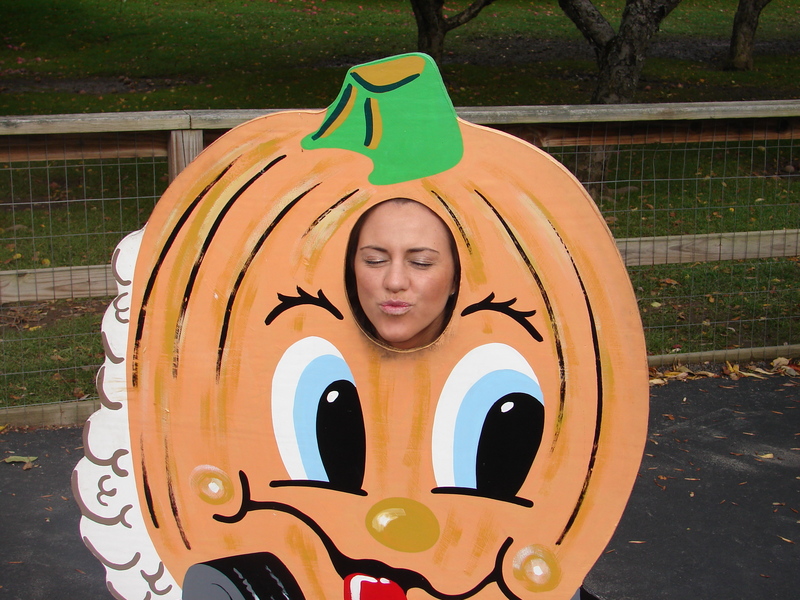 I just love pumpkins. 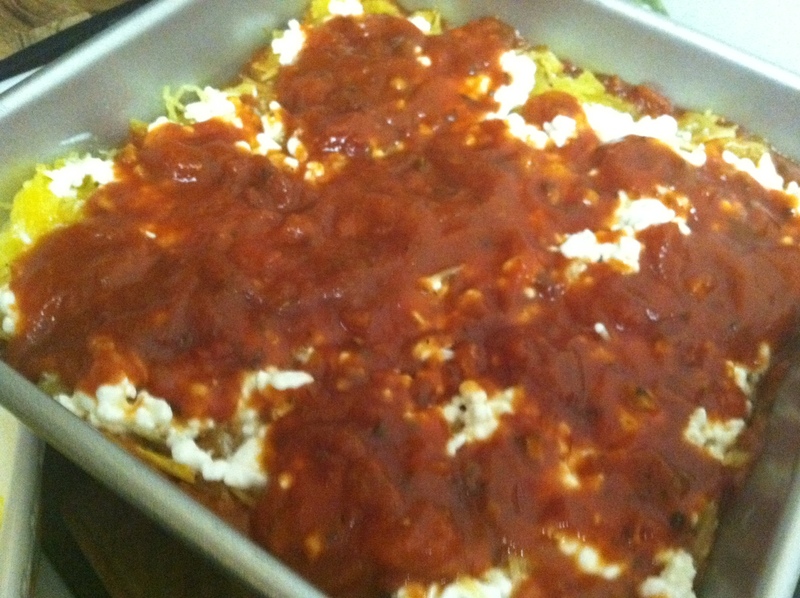 Before last night I had never made a lasagna… I always thought they took SO long to prepare and I’m more of an instant gratification kind of girl. If it takes longer than 30 minutes and doesn’t involve a crock pot – I’m OUT! 2. Shred 12 ounces of mozzarella and mix with the ricotta in a large bowl. Set aside. 3. In a 2 quart pot, melt butter on low heat. Add garlic and brown lightly. Stir in pumpkin, brown sugar, maple syrup, cinnamon, nutmeg, salt and pepper. Stir until it’s all warm. Remove from heat and set aside. 4. Smear a thin layer of pumpkin mixture on the bottom of a 9×13 glass baking dish. 7. 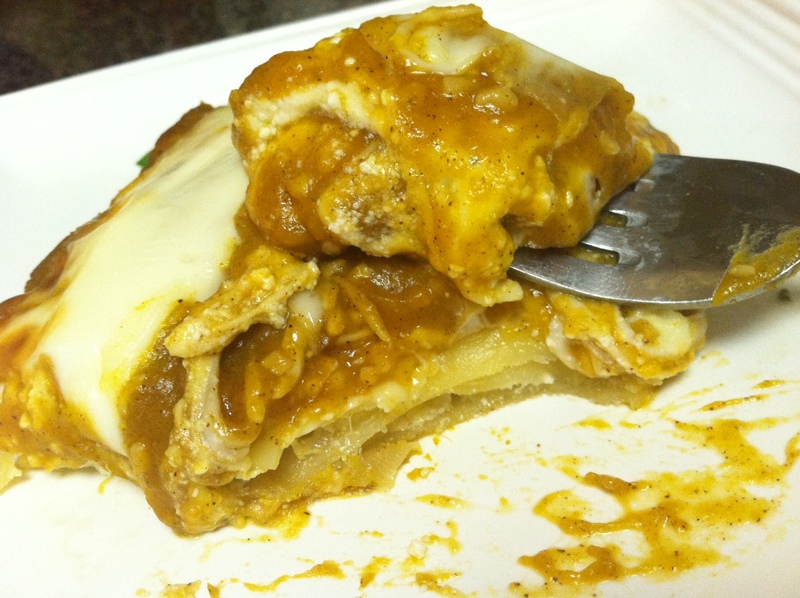 Eat your sweet, ooey and gooey lasagna. 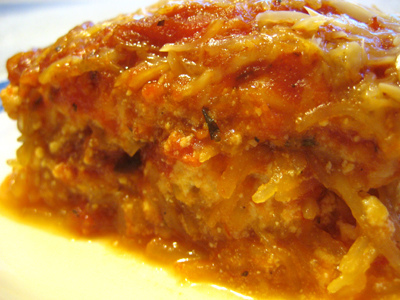 I loved the sweetness of this lasagna – If you are in the mood for something new, definitely try this… If you are looking for an original lasagna, you’ll have to spend more time on it. I also highly suggest washing it down with a couple squares of heaven. 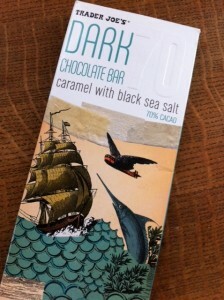 If there’s any left in stores that is… Because I plan on wiping every Trader Joes clear of them. 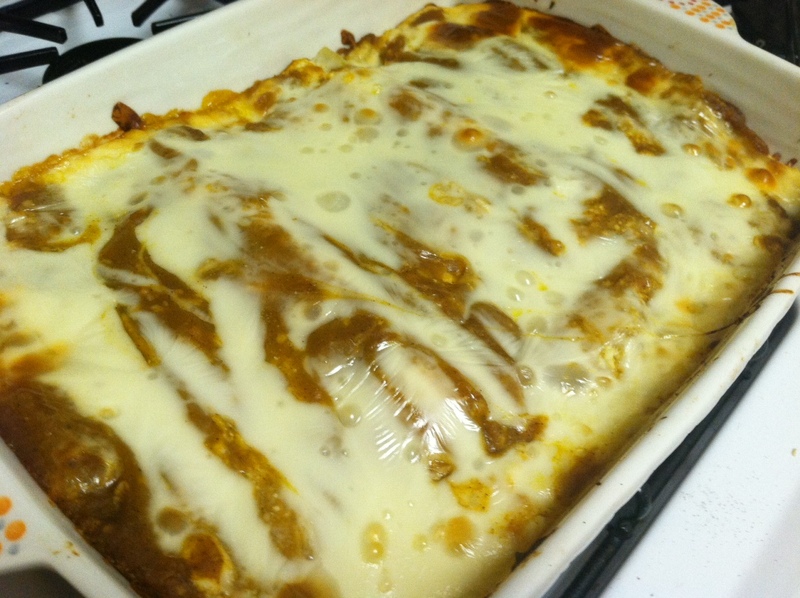 QUESTIONS: Have you ever made a homemade lasagna? I cant believe this was my first time. You know what I love about lasagna? Um, everything…Duh. Oh, except for the carb and fat overload. So I decided to take a comfort food and take the guilt out of the dish. 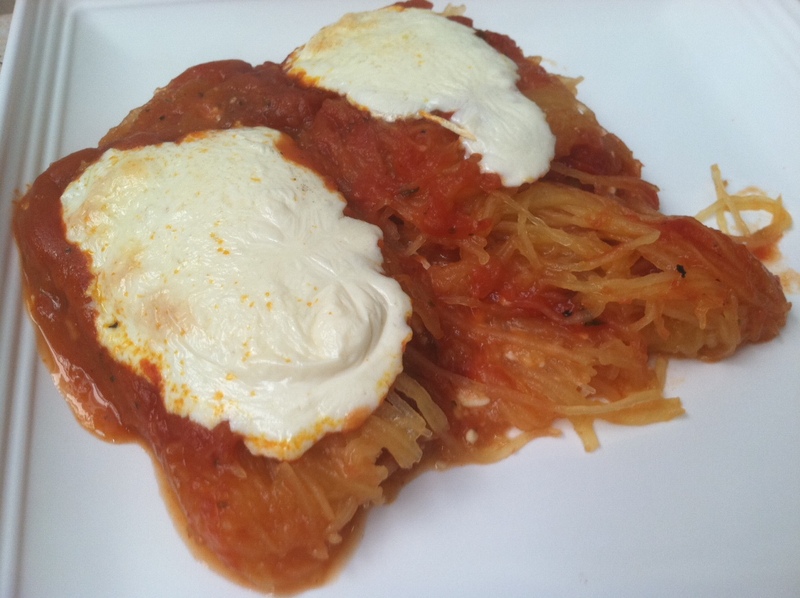 This “lasagna” uses spaghetti squash, spinach, cottage cheese, tomato sauce and fresh mozzarella and will totally hit the spot. 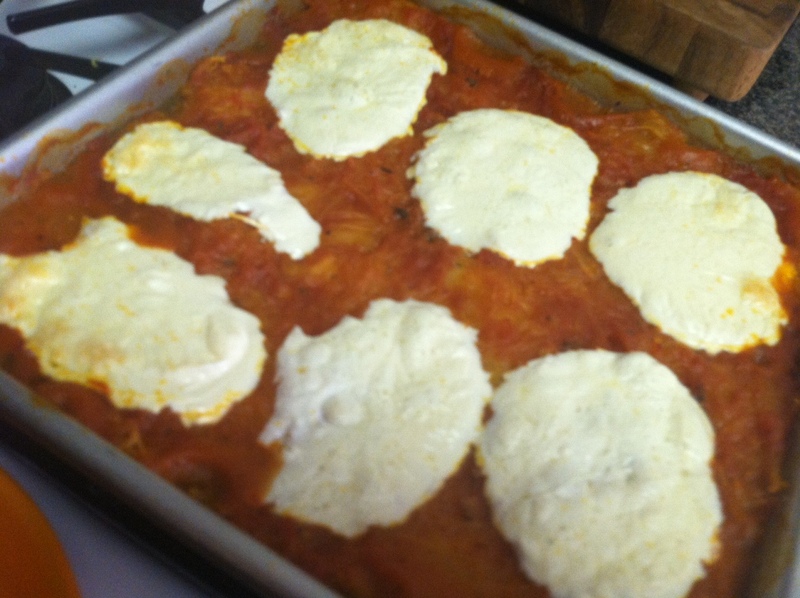 You get that baked Italian goodness for, get this, about 100 calories a serving! The secret to lightening up this dish (besides swapping out pasta for squash) is to watch the cheese. So many times we make dishes just slapping on high fat ingredients without thought. In all actuality, half would probably do just as well. This dish totally proves a little can really go a long way! QUESTIONS: What’s your favorite Italian meal? I want to skinnify it!